The long awaited album by Steve Crown is now on air. 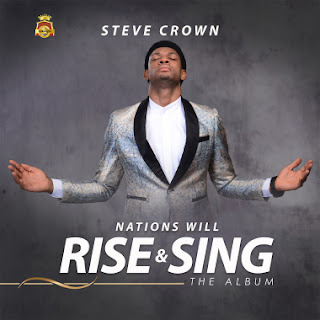 Nigerian Gospel music minister, Steve Crown drops his second studio album titled, “Nations Will Rise And Sing” today. Steve Crown came to limelight after the released of his popular track “YOU ARE GREAT” in 2014. The song has gradually grown to become a world-class anthem.